IDEA FREE 3G INTERNET To use this trick you need pd proxy software in your PC and to use in android phones then you need Droid VPN software just simply download from play store. to use this trick first you have to recharge an small 3G plan to your idea sim like Rs.9 or other and then follow the steps given below. steps to use this trick. 1• follow the instruction of idea 3G UDP trick January 2014 given below. 3• Use APN as mobile or IMIS . 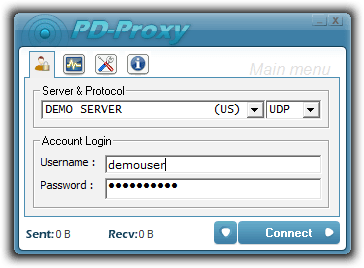 4• Open pd proxy and connect it with UDP port 9901 or bind local port 53. 5• Try to maintain your balance above rs. 1. 6• The connection will be made in a few seconds and enjoy. 1 very high speed up to 700 kbps. 6 APN works with default APN. if you like IDEA FREE 3G INTERNET post, then please don’t forget to thanks and if you have any query related to the post please tell us in comments and we will solve it for you. iam using droid vpn ..but getting very low speeds..pls help..